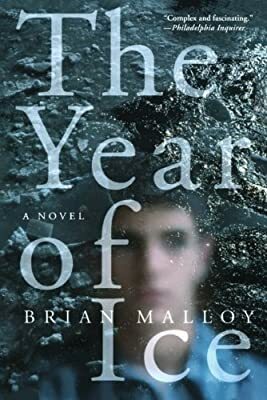 Author: Malloy, Brian Set In . . . It is 1978 in the Twin Cities, and Kevin Doyle, a high school senior, is a marginal student in love with keggers, rock and roll, and--unbeknownst to anyone else--a boy in his class with thick eyelashes and a bad attitude. His mother Eileen died two years earlier when her car plunged into the icy waters of the Mississippi River, and since then Kevin's relationship with his father Patrick has become increasingly distant. As lonely women vie for his father's attention, Kevin discovers Patrick's own closely guarded secret: he had planned to abandon his family for another woman. More disturbingly, his mother's death may well have been a suicide, not an accident. Complicating the family dynamic is the constant meddling of Kevin's outspoken Aunt Nora--who will never forgive Patrick for Eileen's death--along with Patrick's inability to stay single for very long. His loyalties divided between his father and his aunt, between his internal reality and his public persona, Kevin is forced to accept his gay identity and reevaluate his notions of family and love as painful truths emerge about both.